not sure since when i am unable to edit/view the product description for new or even existing product. Last edited by vinceooi on Mon Nov 12, 2018 8:56 am, edited 1 time in total. Posted screenshot not relevant to an error. More information needed. Forum rules. Yes, by following the forum rules. Your first post does not provide enough info for anyone to assist you right now. since a lot of Bugs and Misses have been found and fixed since 1.5.6.1. And then check again, if your problem still exists, or come back here again. * Fixed issue in Amazon Payments where tax lines where passed as products if cart had different tax rates. * Fixed the implementation of captchas. * Trigger JS change on page load to ensure that option choices are hidden/shown when editing an option. * Updated link to download location for Amazon Payments adjustment file as it was removed from the source. * Removed old subversion file read from admin/controller/footer - redundant code. * Added speed improvement for the product count check in the category module if it is disabled. Part of the totals calculation were still being done. To keep it short (others will post nonsens and endless ..): it seems to me that the script for the editor is not loaded. Have you ever checked the output with the developer tools in your browser - hit F12 ? And which Browser are you using? I agree with OSWorX, it looks like your CKEditor script is not loaded, or the Token is missing (CKEditor needs the Token to work). Most likely the problem will be in your "product_form.tpl", at the bottom. Out of Interest: Does CKEditor loads correctly for description on other pages? like "Category" or "Information"? Hi both, thank you for your reply. but i am not expert. how to check whether is it loading or not ? As written, check and if not loaded, load the required Library for CKEditor and it will work. Is this installation Original or Modified? Did the editor ever work? If you are not able to fix that, either post a request in the commercial section in this forum or hire a developer somewhere. 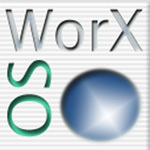 Hi OSWorx, this is original OC 1.5.6.1 with a theme for frontstore. should be no modification to the product form.tpl and it just sudden not working few days ago. How do i check whether the CKEditor is loaded or not ? where to check? please advice. and i can share my product form.tpl. but it doesnt allow to attached to this post. He has that already, there is another issue causing this to work properly.